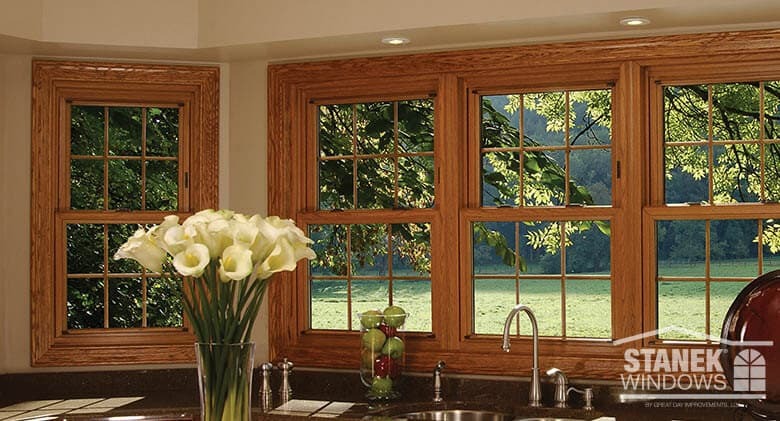 Learn about the advantages and disadvantages of wood and vinyl windows. Identify which window is the better long term purchase for a home owner. Wood windows are fast becoming a construction solution of the past. Wood is problematic in building, and the end user seems to always be scrambling to keep up with its maintenance. Wood warps, splinters, cracks, and generally annoys us. The only problem is… we love the way it looks. Enter Stanek Windows. 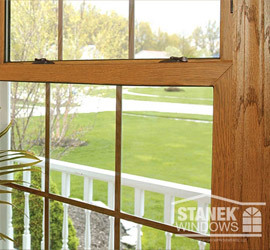 Stanek’s wood series windows look exactly like wood, but don’t have any of its problem-child behaviors. These splendid vinyl replacement windows are designed to be fully customizable for a perfect fit and superior energy efficiency. Made of low-maintenance, high-quality uPVC vinyl, they mimic wood so beautifully, you’ll be hard-pressed to tell the difference! Let’s get scientific though. If you glance at the charts below, you’ll find that the pros for vinyl windows overwhelm the cons in a very convincing manner. Now take a look at this next chart, which compares the pros and cons of wood windows. Wood always adds value anywhere it’s used. Wood provides a high aesthetic appeal. You’ll pay more for wood windows. 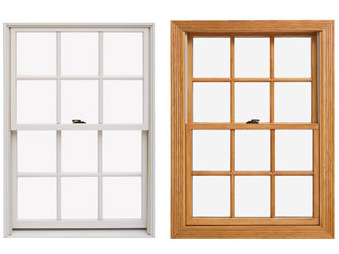 Maintenance and repairs of wood windows are more expensive than vinyl windows. The exterior must be sanded and repainted every 2-3 years. Wood warps, swells, scratches, stains, and splinters. Wood windows are more difficult to insulate. Wood is much heavier, making it more difficult to work with. Wood burns in a fire, sometimes very readily. Replacement panes are a pain to find and install. 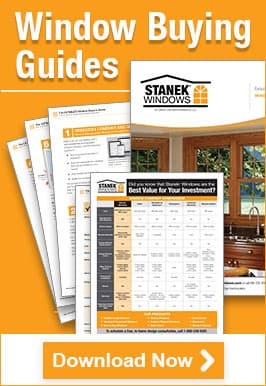 Stanek brand vinyl windows are backed by a limited lifetime warranty on materials and a full 2-year labor warranty. Ready to take a look at our gorgeous wood window series? Schedule your free consultation with one of our window experts today!